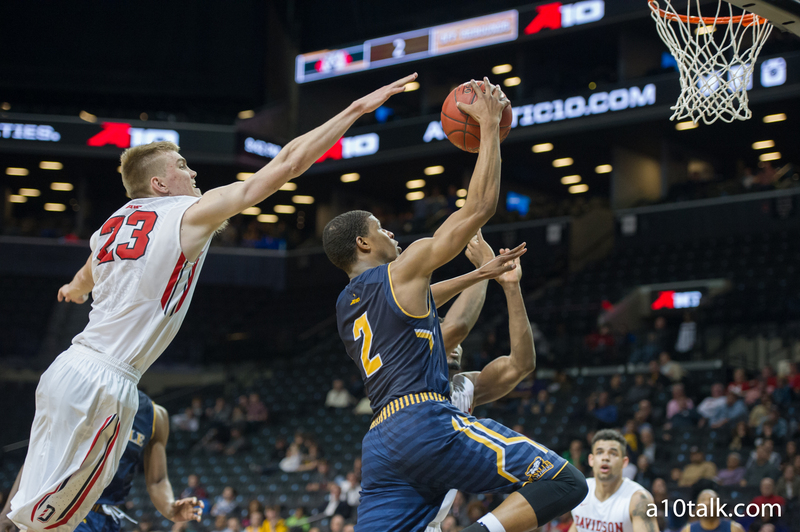 Additions and Subtractions is the latest A10Talk series taking a look at new and departing players in each of the Atlantic 10 programs. Today we examine the roster change-ups for the La Salle Explorers. La Salle is bringing in a plethora of outside talent next season, and it starts with the Syracuse transfer B.J. Johnson. The small forward transferred from the Orange after his sophomore year and sat out the 2015-16 season but will still have two years left with the Explorers. It took Johnson just 3 days to commit to La Salle after deciding to leave Syracuse. Johnson averaged 4.2 points and 3.2 rebounds per game in the 2014-15 season though he played just 14.6 minutes per game. The Philadelphia native should feel right at home with the Explorers as he’s already been with the program for a year. Johnson should be a starter at the 3 for the Explorers next year, especially if Arizona State transfer Savon Goodman is indeed gone for good. Goodman dropped his classes back in early June, but there have been rumors that he may come back. La Salle adds some much needed size this season with incoming South Carolina transfer Demetrius Henry. After sitting out the 2015-16 season, Henry will have a chance to prove himself as one of the more dynamic forwards in the A-10 conference. He, like Johnson, will have two years of eligibility remaining with the Explorers. Demetrius Henry averaged 6.0 points and 3.6 rebounds per game his sophomore year with the Gamecocks. Though his fouls and turnovers were somewhat of an issue, he’s definitely a proven player that will add some much-needed depth to this La Salle frontcourt. He’ll be the likely starter at the 4 with junior Tony Washington playing the 5. The Explorers will add a very talented point guard in Pookie Powell who will finally get to take the floor after sitting out the 2015-16 season. Powell transferred from Memphis where he averaged 4.3 points, 2.7 assists, and 1.3 rebounds per game. He played just 15.4 minutes per game his freshman season with the Tigers, but he was a 4 star recruit out of high school who packs a lot of talent. In Pookie Powell, the La Salle Explorers get exactly what they need: a capable point guard who has time to develop and lead this team back to the NCAA Tournament. Powell will have three years of eligibility remaining with the Explorers, and he should see the most time at point guard next season along with junior Amar Stukes. Saul Phiri is La Salle’s highest ranked incoming freshman, and he’ll be a very important player his sophomore season. The 3 star recruit is a Massachusetts native who can fill it up in a hurry. He’s a versatile guard that’s very capable of finishing at the rim and playing through contact. He’ll be playing behind senior shooting guards Jordan Price and Cleon Roberts, so I wouldn’t expect him to see a ton of court time next season. That being said, he’ll be the next man up at the 2 when Price and Roberts are gone, so it’ll be very important that he gets some experience as a freshman. Deas will be a solid addition to this La Salle team. The 2 star small forward from Brooklyn, New York can really ball, and given a couple of years, he could be a real star for these Explorers. La Salle gets a huge addition, literally, with 7-1 center Cian Sullivan. The Ireland native is a 2 star from St. Andrew’s School. Sullivan should see a lot of time in the frontcourt with junior forward Tony Washington. With his size, Sullivan could turn into one of the better centers in the Atlantic 10 Conference. Rohan Brown provided some valuable minutes for La Salle last season. He averaged 3.9 points and 3.6 rebounds per game on 18.3 minutes per contest. Brown graduated and will no longer be with the program. Both of these Explorers transferred out of the program this offseason, but neither one was a major contributor, as they combined to average less than 4 points per game last season. La Salle is bringing in a lot more talent than it’s losing, and if you’re an Explorer fan, get ready for a much improved season in Philly. Follow us on Twitter and like us on Facebook for more La Salle news and articles!